The announcement on 19th August 2015 that Lord Sebastian Coe would take over as President of the International Association of Athletics Federations (IAAF) met with a positive reaction, both here in the UK and globally. On the day of the announcement, Lord Coe made an important promise: to create an independent anti-doping panel within his first 100 days in office. 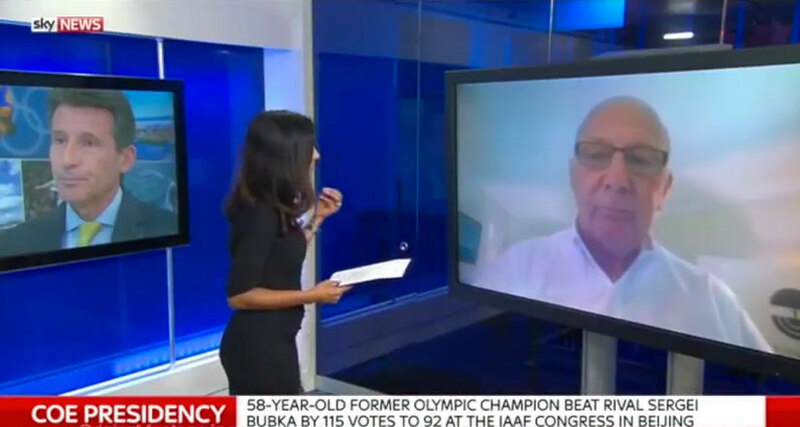 As global media analysed the importance of Lord Coe’s appointment and the ramifications of his promise, Versapak Doping Control’s Chairman Ian Denny Anderson was invited by Sky News to be interviewed on the subject. Appearing in the prime time 7.30pm slot, Ian discussed his opinion of Lord Coe, his appointment as President of IAAF, and the effect that his presidency would have on the world of anti-doping in sport.